Amazing sunrises and sunsets, with views Mt. Evans to Pikes Peak. This home offers one of the largest private balconies available with custom tile floors. Gorgeous 2 bedroom home with stunning upgrades. Gourmet kitchen, granite and distressed hardwood thru-out. 10' ceilings with floor to ceiling triple pane windows with UV block. Windows on 3 sides - very light and bright. Electric blackout shades in bedrooms. Two exclusive right parking spaces #435 and #436, storage unit #405 and Community Wine Cellar cabinet #53. Resort style living w/24 hr. 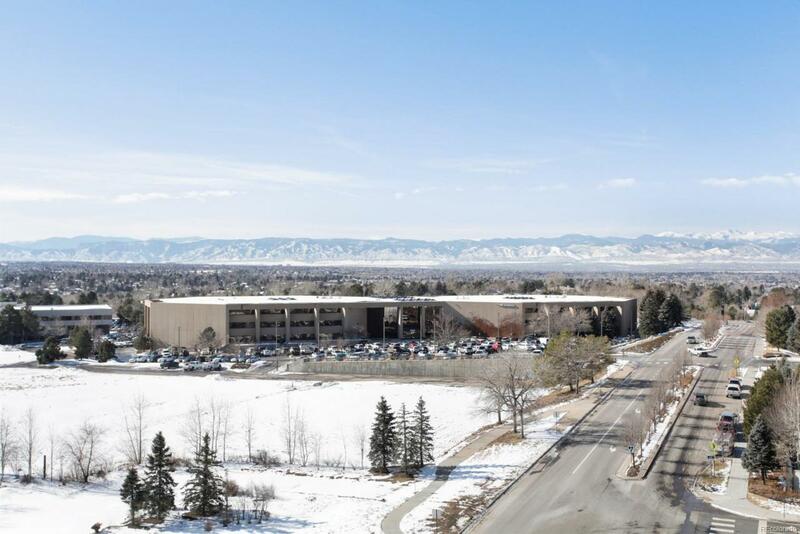 concierge service, business center, 2 community fitness centers, 2 community pools, 2 outdoor hot tubs, library, media center, 2 rentable guest suites, magnificent 5th floor community deck, club room, sauna and freight elevator. Within steps of The Landmark Shops where you will find everything you need from fine dining, casual dining, a movie theater, comedy club and boutique shopping.